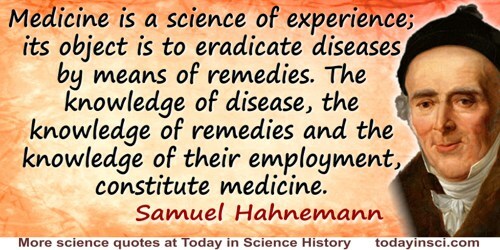 German chemist and physician who founded the system of therapeutics known as homeopathy, whereby the practitioner treats the patient as a whole, rather than a specific symptom. I do not know if I am mistaken, but it seems that one can obtain more truths, important to Humanity, from Chemistry than from any other Science. In Chemische Annalen (Crell;s) I:291-305, 1788. 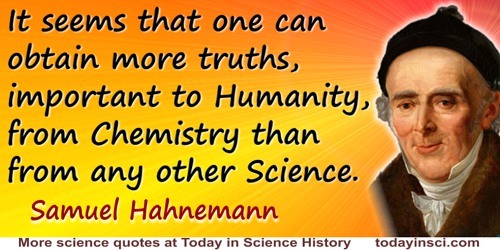 As cited in Israel S. Kleiner, 'Hahnemann as a Chemist', The Scientific Monthly (May 1938), 46, 450. The quote is the opening words of an article describing his test for lead and iron in wine. The rallying motto of a sectarian name is incapable of exciting to sober, calm, scientific investigation; it only rouses the explosive spirit of accusations of heresy to a fierce volcanic flame. 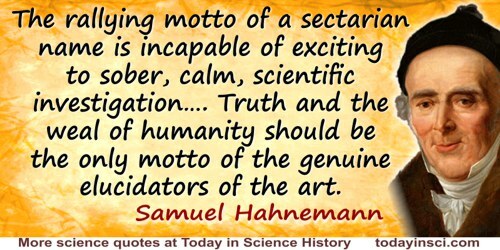 Truth and the weal of humanity should be the only motto of the genuine elucidators of the art, and the watchword of their brotherly, peaceful bond of union, without slavish adherence to any sectarian leader, if we would not see the little good that we know completely sacrificed to party spirit and discord. In 'View of Professional Liberality at the Commencement of the Nineteenth Century' from the Allgemeiner Anzeiger d. D. No. 32 (1801), collected in R.E. Dudgeon (ed., trans.) 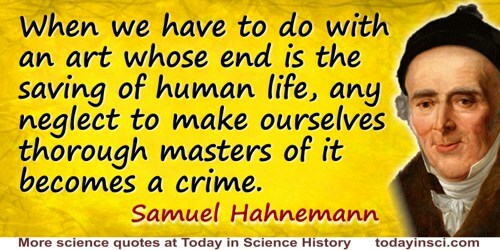 The Lesser Writings of Samuel Hahnemann (1851), 363. 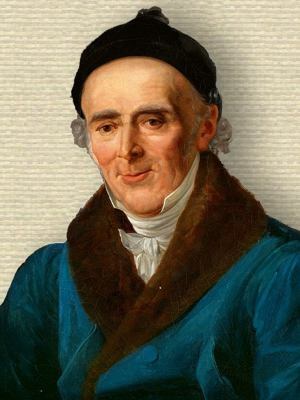 10 Apr - short biography, births, deaths and events on date of Hahnemann's birth.